www.superstarhairextensions.comKelly Kubiak of Super Star Hair Extensions is certified in 17 different methods of hair extensions, so she certainly knows her business. The two processes she favors are Hairlocs and Hairdreams. Hairlocs is a no-heat, no-glue, no-wax method that utilizes copper rings to “lock” hair extensions in place. This process lasts six to 12 weeks, after which time the rings can be unlocked and repositioned on the natural hair root. The price for Hairlocs extensions averages $300 to $1,500depending on density and length desired and touch-ups are $100 per hour. The second method Kelly prefers is Hairdreams, a favorite of celebrities such as Lady Gaga. Hairdreams uses keratin and a heat-fusion system to attach 100-percent, natural human hair extensions to your own hair. The extensions last three to four months and cost between $300 and $1,500. Not sure you want to invest all the time and money on higher-end procedures? 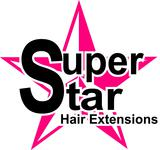 At Super Star Hair Extensions, you can ask for the Quickies. These tape-in hair extension wefts are installed in about 20 minutes, last up to six weeks and cost around $350 to $400. Quickies are an affordable way to discover if extensions are right for you. In addition, Kelly offers hair extension correction, hair loss correction, eyelash extensions and spray tans for that “super star” look.